January 18, 2011 - Airbus has increased its production output for the ninth year in a row and achieved a new company record of 510 (2009: 498) commercial aircraft deliveries to 94 customers (of which 19 were new). Deliveries included 401 A320 Family aircraft, 91 A330/A340s and 18 A380s. In its military division, Airbus delivered 20 light and medium military and transport aircraft (CN235 and C295), exceeding the 2009 figure by four aircraft. Airbus booked 644 commercial aircraft orders (574 net) in 2010. The value of the new orders surpassed US$84 billion gross (US$74 billion net) at list prices. This represents 51 per cent by units of the 2010 gross worldwide market share of aircraft beyond 100 seats (52 % net). Airbus won 21 new orders for its military aircraft (CN235 and C295). The new commercial orders include 452 A320 Family aircraft, 160 A330/A340/A350 XWB Family aircraft, and 32 new orders for the A380. At 2010 year end, Airbus? commercial order book backlog was 3,552 aircraft valued at over US$480 billion at list prices, or equaling six years of full production. The military backlog stood at 247 aircraft. In 2010, Airbus launched the A320neo (new engine option), offering 15 per cent less fuel burn. This is equivalent to a saving of up to 3,600 tons of CO2 emissions per aircraft per year. The A350 XWB continued winning key strategic campaigns during 2010, boosting the total orders for the family to 583 and number of customers to 36 by year end. On the industrial side, 2010 saw the start of manufacturing of the first A350 XWB components and sub assemblies at section level. The systems test rig (Iron Bird) for the A350 XWB started operations in December. The A400M program is delivering results with four development aircraft flying. It accomplished more than 1,000 flight hours in over 300 test flights. Start of A400M series production is imminent and civil certification is planned to be obtained before the end of the year. The A330-based Multi-Role Tanker Transport (MRTT) aircraft achieved civil and military certification in 2010. Five are flying with a further four undergoing conversion. Delivery of the first two MRTTs to the Royal Australian Air Force (RAAF) is in the final stages. Airbus? Power 8 program exceeded both its EBIT and cash saving targets. Power 8+ will continue this momentum. Airbus has regained its competitiveness largely thanks to Power8, the improved program performance and the growth in its markets. In addition, progress in the A380 program has allowed the company to reduce the temporary workforce considerably. However, hundreds of temporary positions were turned into full-time Airbus contracts creating a large number of new jobs in particular in Engineering and Production. In 2010, Airbus recruited 2,200 new employees, bringing the active workforce up to 52,500 by year end. For 2011 it is planned to hire up to 3,000 people, in particular for the ramp-up of the single aisle and long range programs as well as development and industrialization of the A400M, A350 XWB and the A320neo. "2010 was a good year, in fact better than expected twelve months ago. The market rebound and improved program performance has been particularly encouraging. However, with plenty of challenges, especially in our development programs, we?ll have to work hard to further improve and also make 2011 a successful year for Airbus,? said Tom Enders, Airbus President and CEO. For 2011, Airbus is expecting again a further increase in deliveries and a book-to-bill ratio above one. 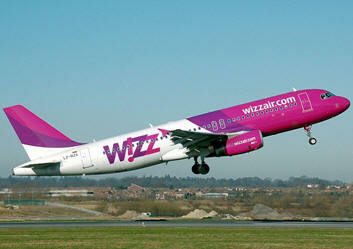 ?This is the result of strong airline demand for new and more eco-efficient aircraft," Enders said. "We respond to our customer's requests by introducing the right technologies at the right time as per the launch of the A320neo." Also in 2010, Airbus advanced the commercialization of alternative fuels by establishing the first value chain in Brazil, bringing together farmers, refiners and airlines. Airbus completed Latin America?s first bio-fuel flight, and Airbus is also supporting the world?s first scheduled daily bio-fuel passenger flights due to begin in 2011. This underlines Airbus strategy to advance from demonstration flights towards the commercialization of alternative fuels for aviation.